Left to right, back row, Harrison Littler, Bevan Powell, Robert Atkinson, Andrew Lomas, Robert Thompson, Mohammed Bakhtiar. Middle row, Emma Dent Coad, Monica Press, Pat Mason, Beinazir Lasharie. Front row, Pat Healy, Judith Blakeman. 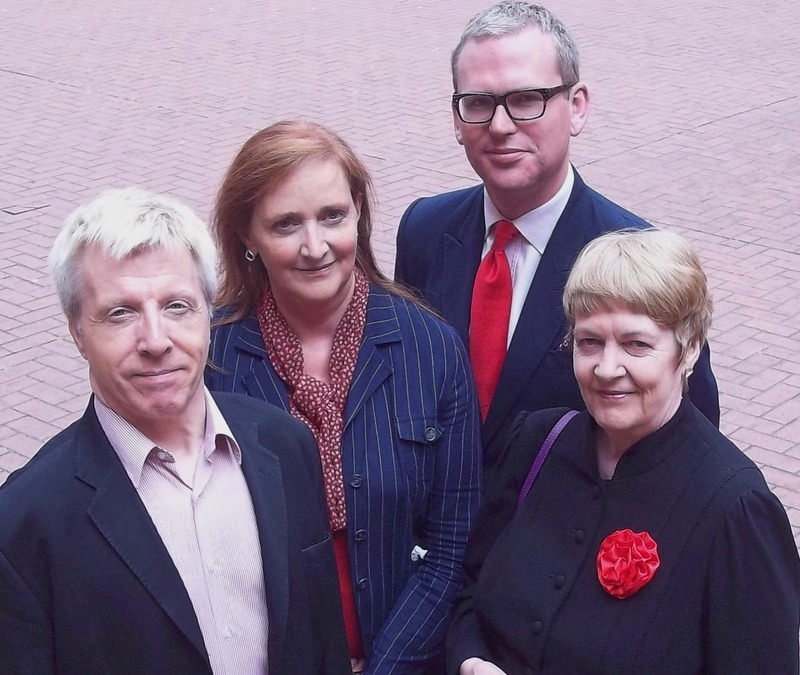 Kensington Labour is delighted to present its new team of Councillors, who made their first appearance at the RBKC Council AGM on 11 June, where former Whip Robert Atkinson was created Deputy Mayor. 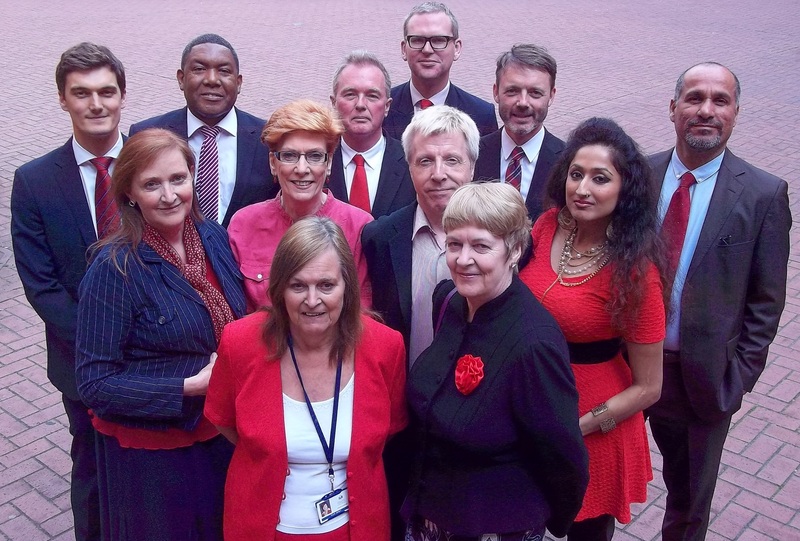 Our senior Leadership team is looking forward to working as one with our new members, who bring a wealth of experience and knowledge into the Labour Group. All our hard work during the year-long election campaign has paid off, with a larger group bringing new energy and commitment. Left to right: Cllr Pat Mason, Labour Group Chair and Chair of Cabinet and Corporate Services Scrutiny Committee, Cllr Emma Dent Coad, Labour Group Leader, Cllr Andrew Lomas, Deputy Leader, and Cllr Judith Blakeman, Chief Whip.